Now that we have the Dane the traveling part starts. There are of course pros and cons to traveling with a dog. The pros are that they are with you sharing in your experiences and you don’t have to worry about how they are getting along with the dog sitter or at the boarding facility. The cons include that much more stuff to pack (food, bed, bowls, toys), space in the vehicle (especially with a 125 lb. dog), finding restaurants with patios that allow dogs, accommodations that allow dogs and stopping at multiple rest stops because the dog thinks it is too hot or too cold to want to get out of the car and go for a walk or just doesn’t like the lack of grass or the type of grass available. Then there are the really bad things like getting car sick or worse which can require more stops and interior cleaning. To solve some of the accommodation issues and to keep closer to our travel budget, we usually camp. There aren’t too many campgrounds that don’t allow dogs, some have breed restrictions but for the most part dogs are welcome. If you do choose to stay at hotels there are websites that list pet friendly ones and for the most part Motel 6 is dog friendly but they do sometimes have size limits, so our 125 lb. Harlequin Dane was sometimes a 45 lb. Dalmatian. People that own Danes know that being in public with a Dane is not the same as being in public with most other dogs. People take notice, some cross the street to get farther away and some will drive across an entire parking lot just to come over and talk. And then there are the inevitable “do you have a saddle for that?”, “who is walking who?”, “how much food do you go through?”, and even once “she looks like a gateway computer box”. If you have any travel experiences with your pets please feel free to share them in the comment sections. 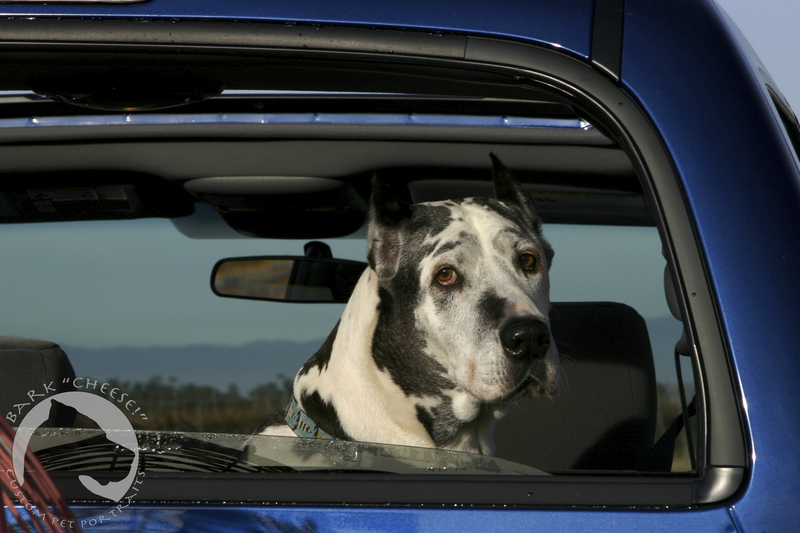 This entry was posted in Great Danes, Pet Photography and tagged Great Dane, Harlequin, traveling. Bookmark the permalink.